Hopefully there's a 'cut your tauntaun open and sleep inside it' emote. There's no shortage of iconic creatures and robots that would make for great vanity pets in the Star Wars universe. Personally, I've been holding out for a tiny pet Ewok which will valiantly follow me into battle. And off cliffs. Oh yes. In a Q&A with the Inquisitors Roadhouse, Bioware's Lead System Designer Damion Schubert gave up a few details regarding vanity pets and their place in the next big The Old Republic update. "I don't want to give out too big a hint," said Schubert, shortly before doing exactly that, "but they smell kinda' bad on the outside." Now I'm the first to admit my knowledge of Star Wars lore begins and ends with the original three movies, but aren't tauntauns generally a little bit big for a vanity pet? Wouldn't making them a mount make more sense? 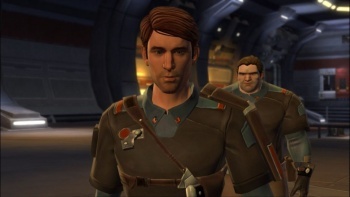 Schubert also added that there'll be new ways to acquire vanity pets, adding that Bioware wants to reward as many types of gameplay as possible. Players will be able to acquire certain new pets by increasing their social and legacy levels while others will be included as random drops in certain areas. Some of the pets will require more coordinated effort to unlock. "One of the things we want to do a lot more of is adding items that take a bit of communal exploration to discover," he said. "We're well aware of how popular datacrons and the magenta lightsaber crystal are - and minipets is one place where we've identified adding fun things like that could really pay off." 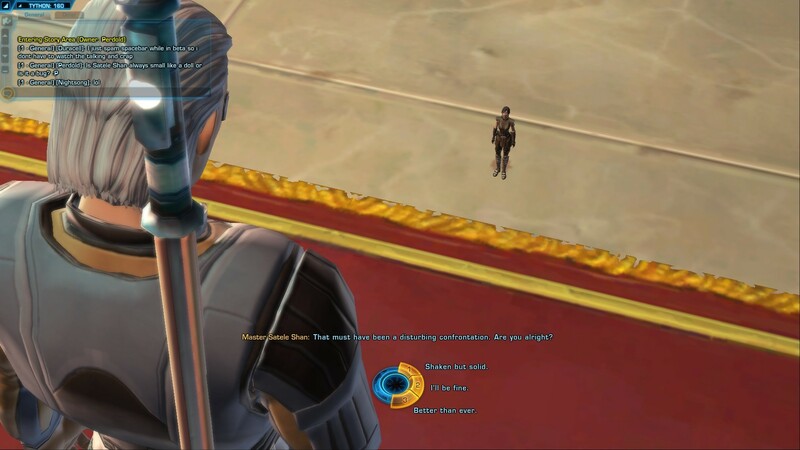 Might I suggest Bioware turn Jedi Grand Master Satele Shan into a vanity pet? She's already about the right size.